Gas shielded welding equipment2. Usually the welding wire's diameter: 0.8-1.6 mm.2. The welding current is selected within 50-230A during the short circuit transition.3. 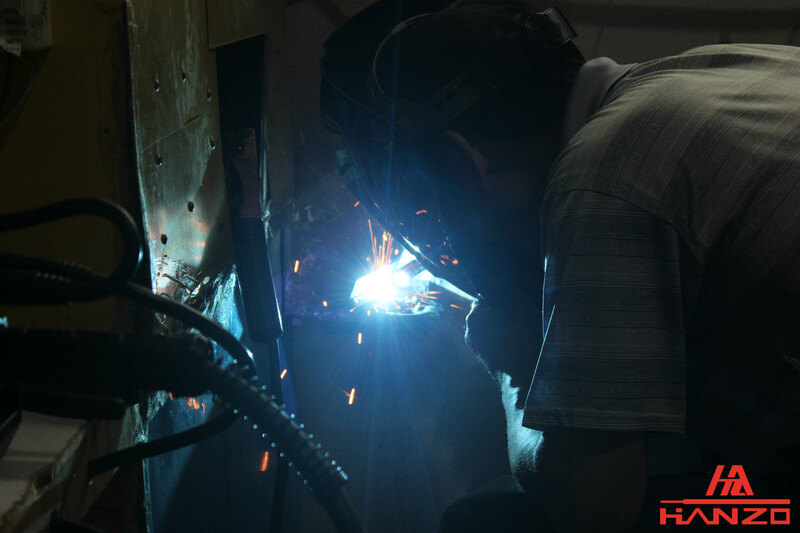 Today let's talk about some basic knowledge of carbon dioxide welding. Carbon dioxide gas shielded welding is a gas shielded welding method that relies on CO2 as a shielding gas to generate an arc melting metal between the welding wire and the weldment. Wire diameter, welding current, arc voltage. Wire extension length, gas flow rate, power supply polarity, etc. 1. Usually the welding wire's diameter: 0.8-1.6 mm. 2. The welding current is selected within 50-230A during the short circuit transition. 3. The welding current is selected within 250-500A during the coarse drop transition. In addition to the above parameters, factors such as the angle of the welding torch, the distance between the welding torch and the base metal also have an influence on the welding quality. Please refer to the wire diameter weldment thickness, welding position and welding current conditions.